Anja is Director Business Development and member of the Senior Management Team of eGym. Since 2014 she has been working in different areas at eGym. Her focus was mainly on identifying and building-up new business opportunities (new verticals, geographies, business models), drive pilots and grow the initial customer base for the respective new business fields. 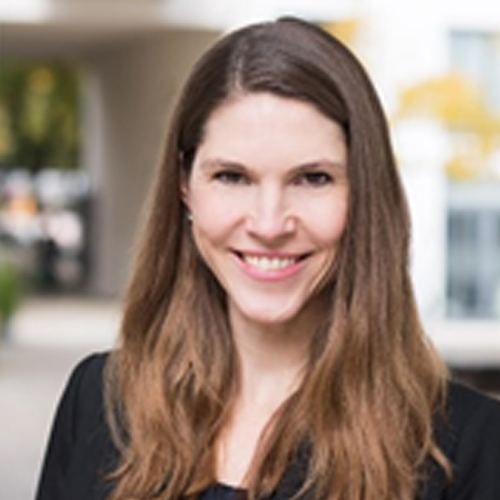 Before eGym Anja was a Project Leader at The Boston Consulting Group in Zurich, where she worked on different client engagements in Switzerland and all over Europe with industry focus on insurance, health insurance and health care. As a former competitive athlete Anja has a huge passion for all kind of Sports which she combined with business skills when she did her Master’s degree in Sport, Business & Law (Dipl. Sportökonomie) at the University of Bayreuth. The training data is automatically synchronized with the eGym platform and made available free of charge to members via the website www.egym.com and fitness app. There, training plans can be stored and adapted, sports activities can be registered, and training can be evaluated as well. Furthermore, eGym also allows you to automatically collect data from external partners such as Runkeeper, Withings, Garmin or Fitbit for your training records and incorporate this information in the training analysis. A detailed profile area is available for all users, allowing them to organize shared training groups in fitness teams to improve motivation and compete for eGym points.